Microsoft Windows 10 and Microsoft Edge are currently incompatible with several electronic library databases. This may appear as a blank page when you click on a link to a database. Devices and laptops that are Windows 10 use Edge as the default browser. The icons for Edge and Internet Explorer are very similar. If you are unaware which browser you are using, check to see if the e icon in the URL line of the browser window has a yellow ring through it. If every website you visit displays an error message or a blank page and your internet connection is working, you could try clearing out the cache in the browser. Select the '...' icon and choose Settings. Click on Choose what to clear under 'Clear browsing data'. Select the options to clear your browsing history as well as cached data and files. Restart Edge and check to see if access is working successfully. Internet Explorer 11 (IE 11) is already installed on Windows 10. 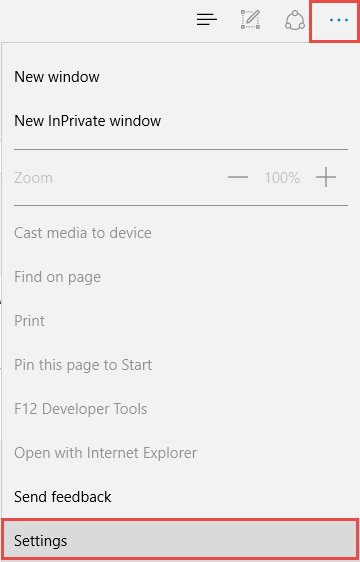 To access IE11, go to the 'Start Menu' then select 'All apps> Windows> Accessories> Internet Explorer'. 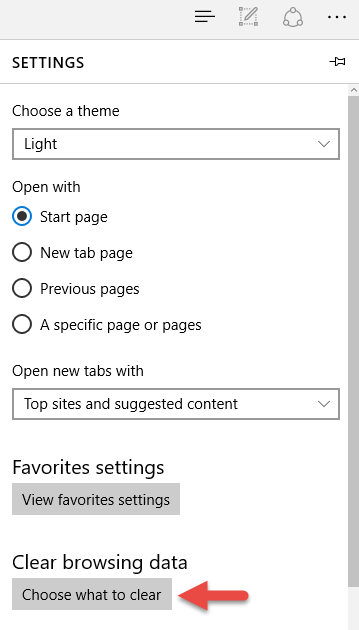 Alternatively, you can choose to open a page with Internet Explorer while using the Edge browser by selecting the ... icon from the top right hand corner and choosing Open with Internet Explorer. Another option is to use a mobile site via an iPad.